43 community street planters were put out across Cardiff. They are currently in 13 different wards all look amazing. Each one is unique to meet the needs of local residents, with many people growing edibles they can eat themselves. 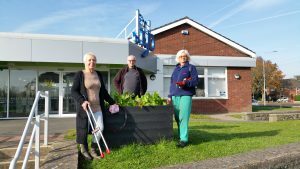 In Llandaff North they have grown a host of different vegetables and are providing the hub café with fresh produce for local people to enjoy, and they taste great! In Splott another planter provided all the herbs needed for Christmas dinner. Others have gone for colour and pollinators, and chosen to brighten up the streets they live on, as well as encouraging local wildlife, such as bees, to come and visit. Another 48 planters have just landed into our depot and are currently looking for homes. If you want to find out how you can get involved please get in touch. 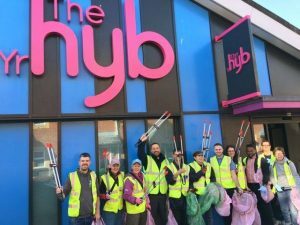 Our Keep Tidy groups have also been hard at work throughout the year, and Street Cleansing’s partnership with Keep Wales Tidy has gone from strength to strength. 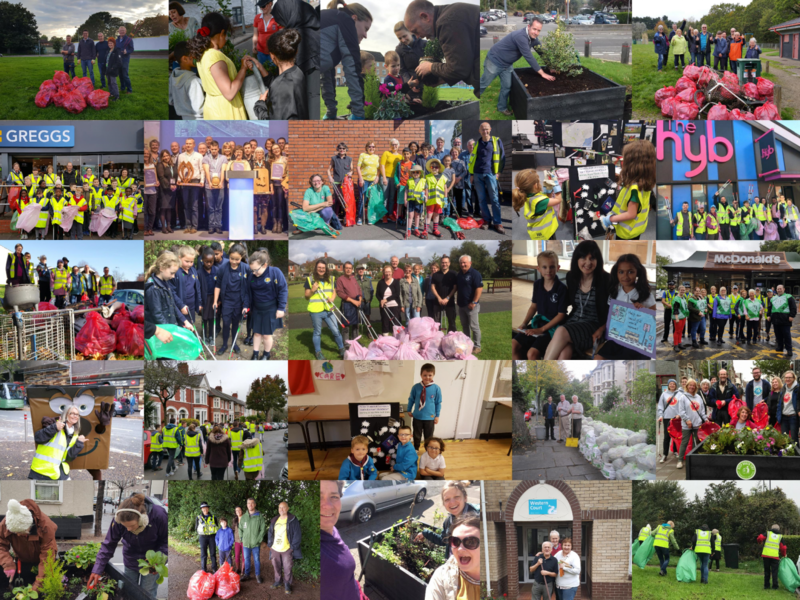 Together we have supported 19 community groups who are actively out and about, volunteering their time, to keep their local areas tidy. 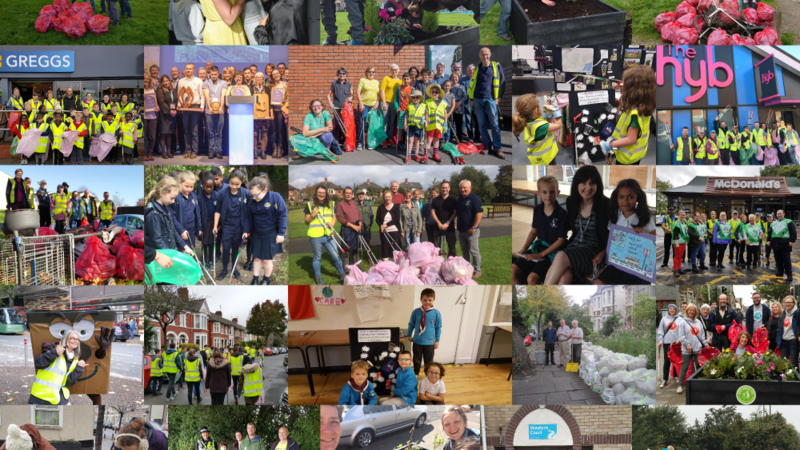 Together local people have given over 4000 volunteer hours, and contributed to 720 local clean-ups. As well as Keep Wales Tidy Litter Champs, we have also launched our own Love Where You Live Champions, with residents now able to book out equipment from local hubs and libraries. This has been piloted in the Grangetown hub with 3 wonderful champions, and is shortly going to go live in Llandaff North and Gabalfa Hub, as well as Cathays Library. 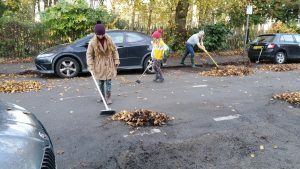 Neighbours have also got together in their streets and have been out clearing leaves as part of Cardiff’s ‘Big Sweep’ with areas such as Riverside, Roath, Cyncoed, Caerau, Grangetown and Radyr all taking part. 28 events took place in total covering and amazing 32 roads. I have also had the pleasure of working with some wonderful schools over the last six months. 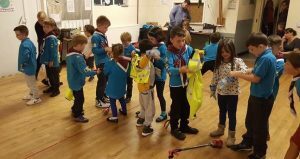 I joined St Bernadette’s Eco week and took each class out on a litter pick, as well as talking to them about the importance of not dropping litter. The team attended Lakeside Primary to award prizes to the winners of our awareness poster campaign, look out for the winning designs on our bin lorries! 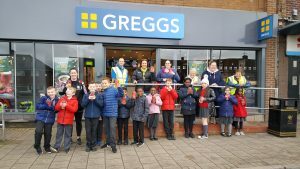 And St. Cuthbert’s lovely Eco Committee joined us on a community litter pick of Llanrumney in partnership with Greggs. 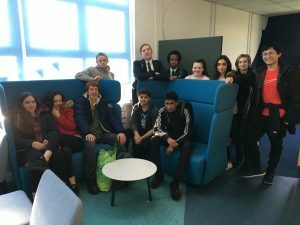 Cathays and Willows High have also got in on the environmental action, and we will continue to work with them in the New Year, with some of Willows Year 10 Welsh Bacc students turning an unloved piece of land into a local community garden. Most recently we have just launched our Love Where You Live badge for scouting and guiding groups across Cardiff.